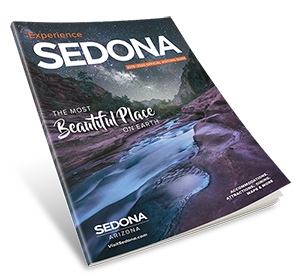 Make the most of your time in Sedona and Scottsdale. We invite you to explore Scottsdale and Sedona, two of Arizona’s most beautiful destinations. Located less than two hours apart by car, both cities offer breathtaking natural settings, luxurious resorts and plenty to see and do, yet each maintains its own unique personality. Be sure to see both magnificent cities on your travels through Arizona! Set in the heart of the lush Sonoran Desert, Scottsdale boasts award-winning resorts and spas, world-class shopping and dining, championship golf, and a vibrant arts and cultural scene. Whether you want to get away from it all or be in the middle of it all, Scottsdale is sure to please! The splendor of Sedona begins as you approach along the highway and revel in your first views of the towering red rock mountains that surround this quaint city. As you draw closer, these natural sculptures circle you, wrapping you in a crimson embrace. It is this first encounter with the red rocks of Sedona that has enchanted visitors for generations.